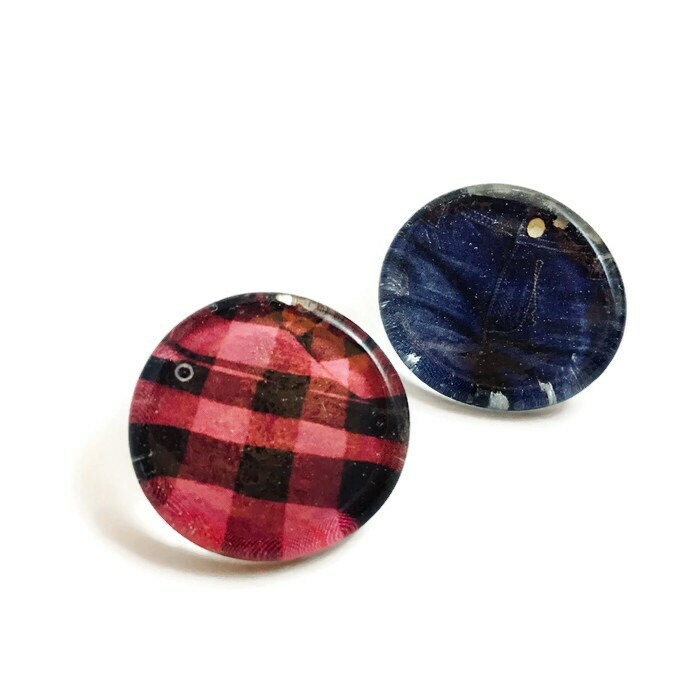 For all fall weathered folks who enjoy a comfy checkered shirt with denim shorts, a glass enclosed print of both! Made with vintage ephemera and found glass baubles. Each stud is approximately the size of American quarters / 25 cent coins.